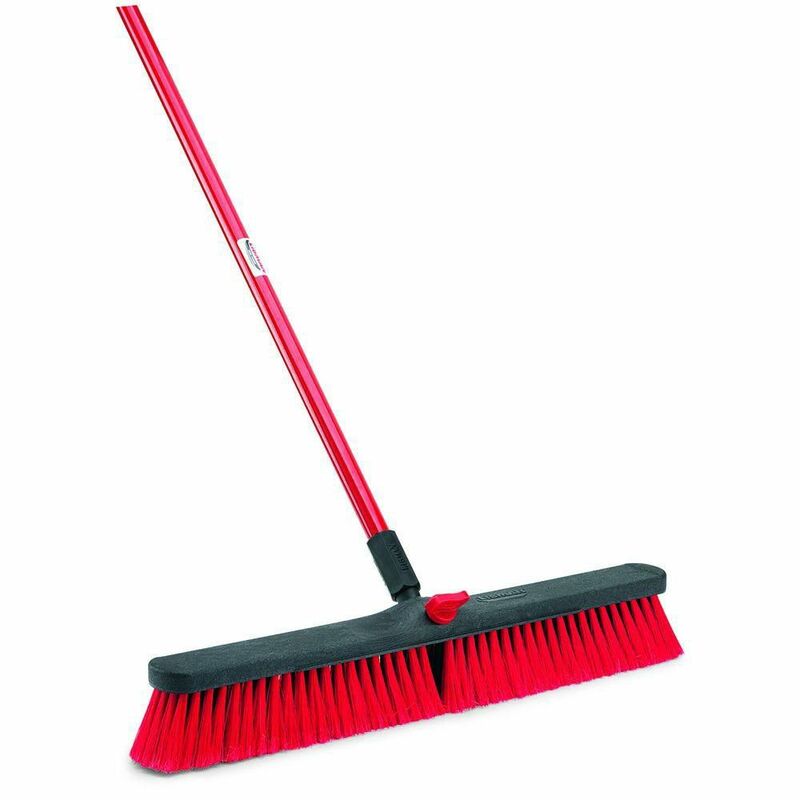 A multi-surface push broom for household and commercial applications. The firm and flexible tip fibres are designed to clean and protect any surfaces, such as concrete, brick, wood, stone and more. Standard threaded handle with hex nut and locking bolt. Quickie BULLDOZER 24 inch smooth surface push broom is made with rugged, specialize material designed for DIY projects where light debris is present on sealed concrete, tile and other hard surface flooring. This smooth surface push broom is designed specifically with soft, flagged polypropylene fibber to easily sweep lightweight dirt, sawdust and speckling powder. The broom head is set in a heavy duty resin block with diamond plate design that won't warp, rot or crack under normal usage. This broom comes complete with clips attached to the block which can be used to store the broom unassembled. You can also easily remove the clips with pliers if desired. 24 In Multi Surface Push Broom A multi-surface push broom for household and commercial applications. The firm and flexible tip fibres are designed to clean and protect any surfaces, such as concrete, brick, wood, stone and more. Standard threaded handle with hex nut and locking bolt. 24 In Multi Surface Push Broom is rated 4.5 out of 5 by 2. Rated 5 out of 5 by Mario from Sweeps good.... Sweeps good. Rated 4 out of 5 by 427Cobra from Does exactly what it says it will do. Does exactly what it says it will do.